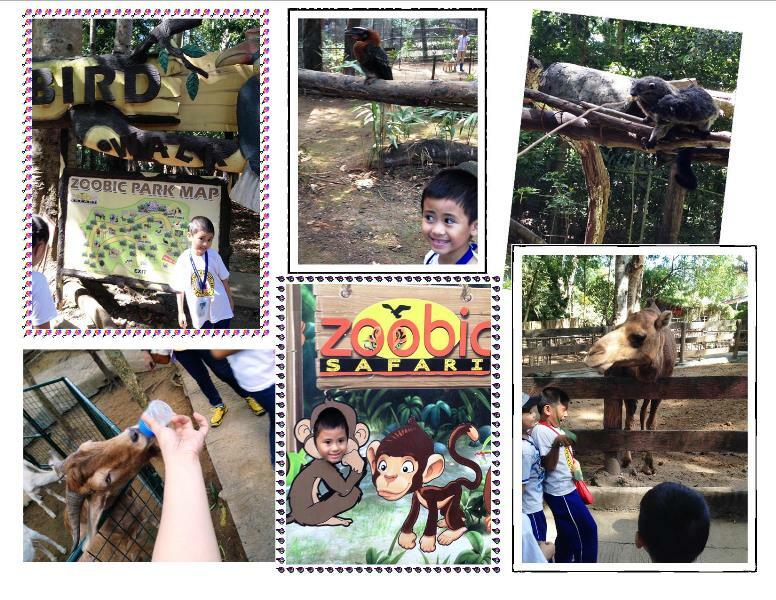 Have you experienced the Zoobic Safari Adventure? 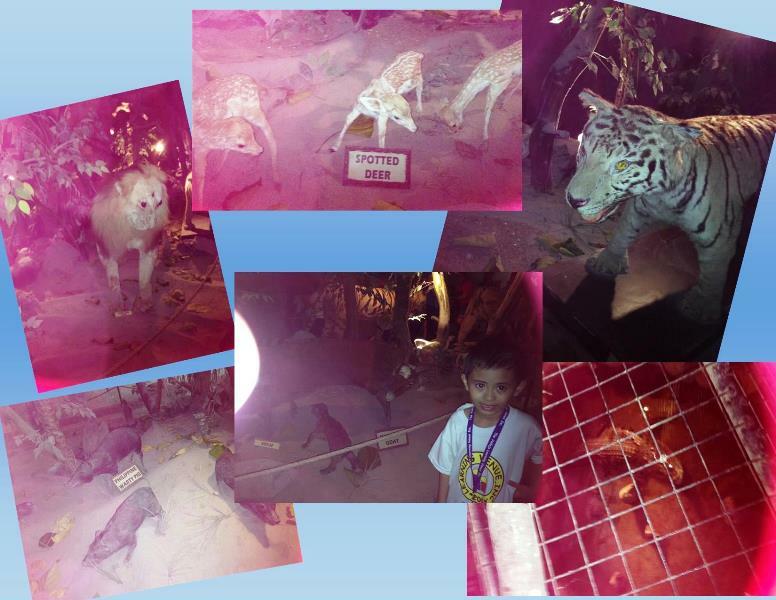 My son and I were so thrilled in his educational field trip inside the Zoobic Safari last November 2014. Our tour was assisted and guided by Hunnypot travel and tours. Their tour guide was really friendly and he shared many information about the history and facts about the places that we passed by. 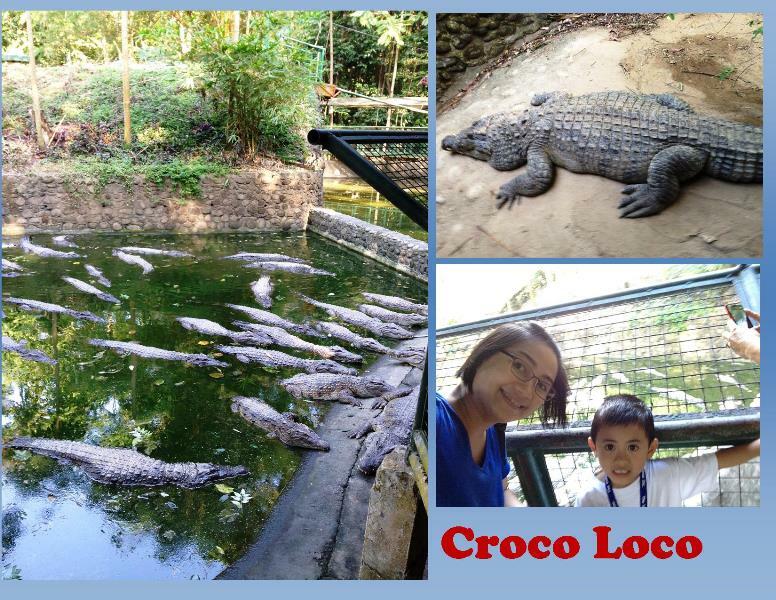 First, we visited the Zoobic park where you can see a special petting zoo and animal observation area set in a tropical jungle environment. We saw a lot of animals such as deer, ostriches, albino carabao, monkeys, an eagle, miniature horses, bearcats, guinea pigs, ferrets, and a very friendly Camel. 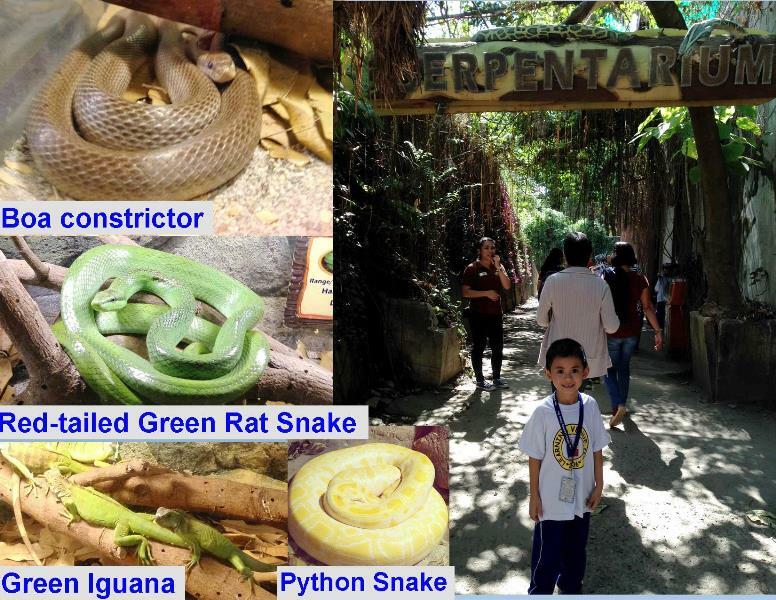 At serpentarium, we saw a close-up view of reptiles like Iguana, and watched the Pythons, Boa constrictors, and some lizards. There is also a part where you can see preserved animal skin in their Taxidermy area. It is amazing to look at these animals that seemed alive. 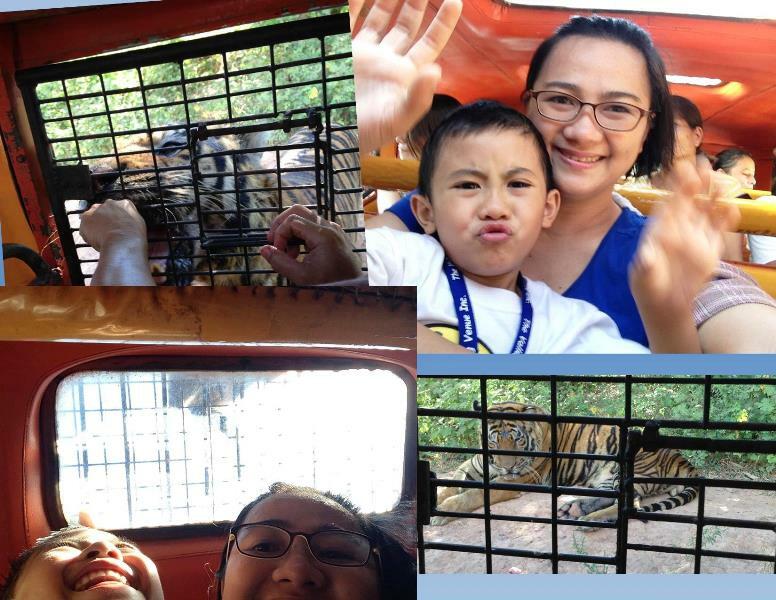 At Tiger safari, my son felt scared when he saw the sharp tiger-canine teeth so close to us. Inside the Safari jeep, the tiger tour guide fed the tiger along the way ( I think I paid P150 for the chicken meat for the tiger). The experience became intense when the tiger climbed up the jeep as we saw it on top of us. 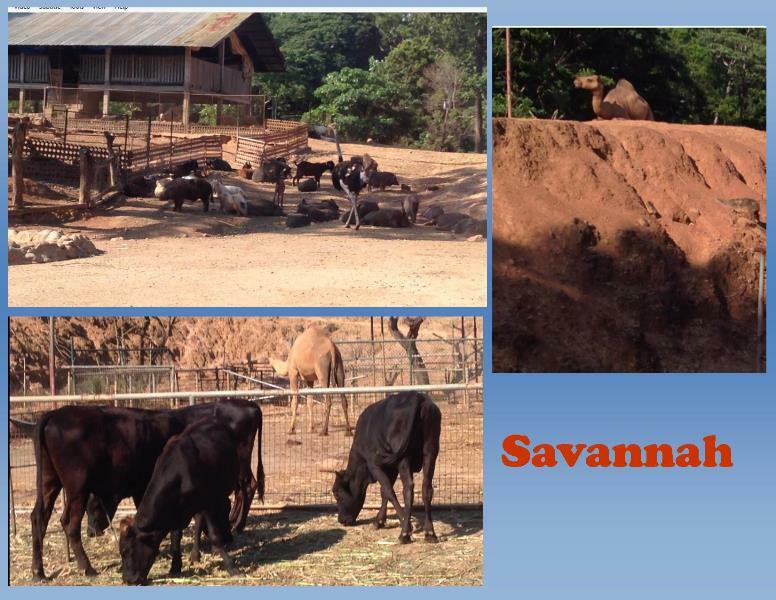 At the Savannah, we’re more than thrilled as we saw safari animals out in the cage freely running and loitering around. We crossed the Savannah place with a bus ride. 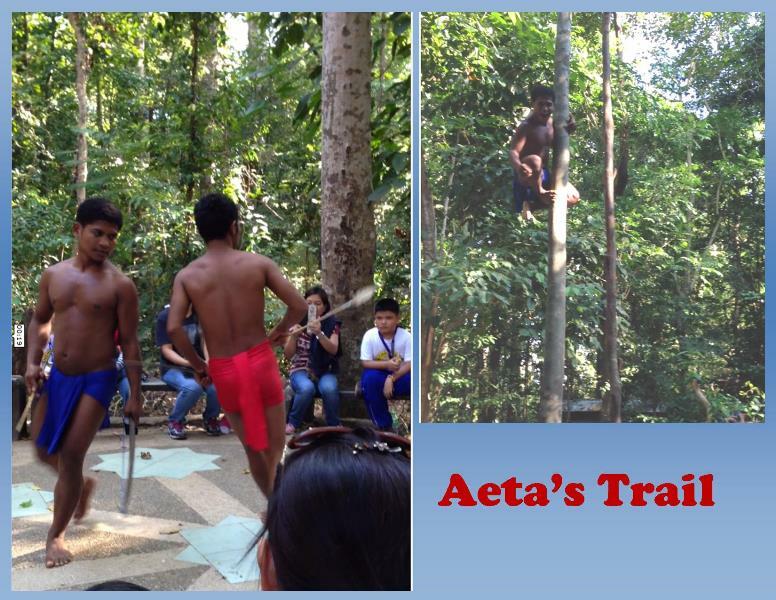 Then there are aetas in the Aeta’s trail. They presented their cultural dance by which all of us were entertained as the students dance with them. The photo in the Croco Loco showed the sanctuary of crocodiles. We walked in a steel grated walkway while watching the snapping predators. Below is a pit of 200 crocodiles. Our Zoobic Safari Adventure is fun, educational, and a recommended bonding outdoor activities with your family especially the kids. In this adventure, be sure to bring with you cap, shawl for women, light snacks and water to drink.